4 What if it Fails to Authenticate? There are minor (negligible) differences in the installation between 10.0 and 10.1. The instructions below are for 10.0 Education Edition installation. The first step is to authorize the registration number provided for you inside the DVD case. 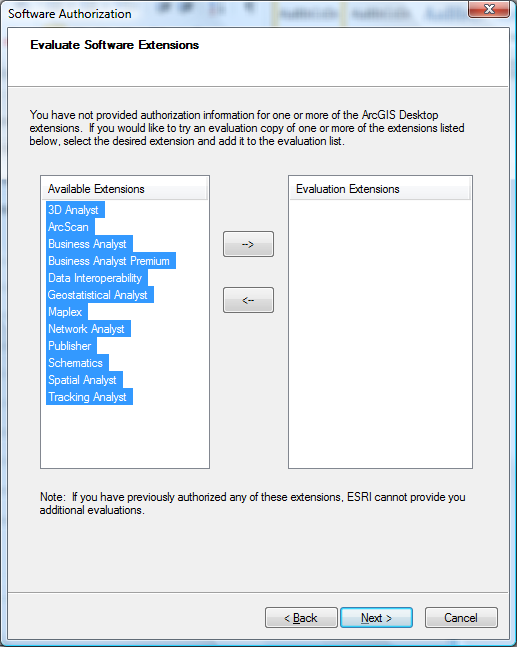 You will need to log in with your ESRI account credentials, or create a new account. Upon creating a new account, you will be asked to enter your registration number. 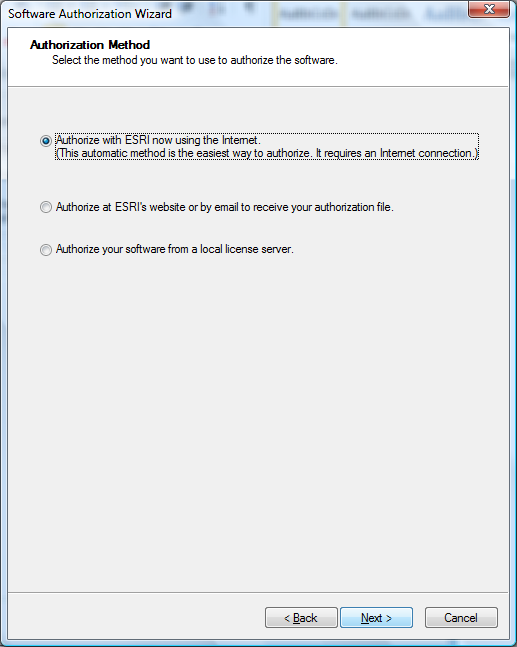 ESRI will then send you an email with the same authorization number telling you that the number is ready for use. 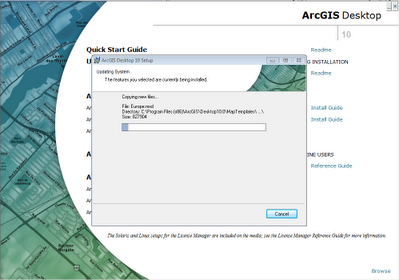 You can then proceed to step two (note if you accidently install ArcGIS before doing this, you will still be able to use the ArcGIS Administrator (accessed from Start -> Programs -> ArcGIS -> ArcGIS Administrator) to authenticate the installation after the fact. 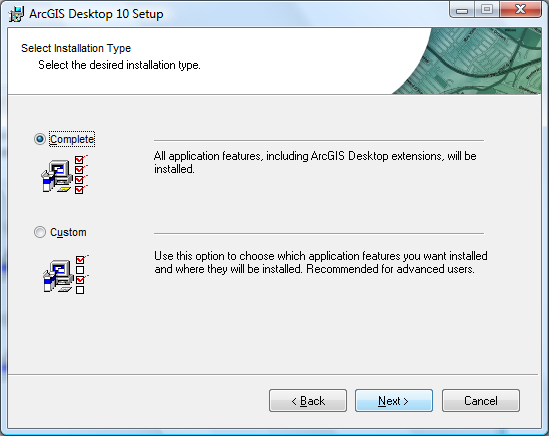 These procedures work whether you download the installation files or use the installation DVD for ArcGIS Desktop 10 available from Software Licensing. 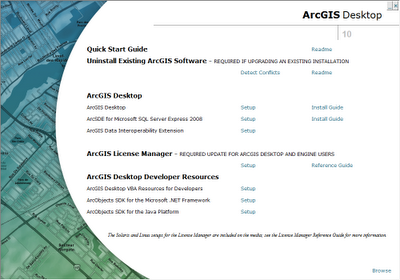 If you have old versions of ArcGIS (e.g. 9.3.1) you will need to uninstall them first. 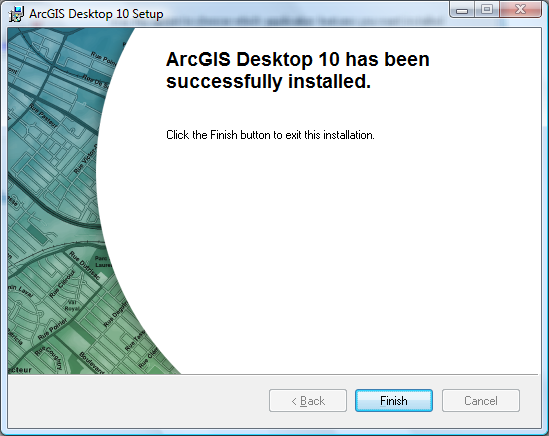 You can use the ‘Uninstall Existing ArcGIS Software’ to make sure this has taken place. 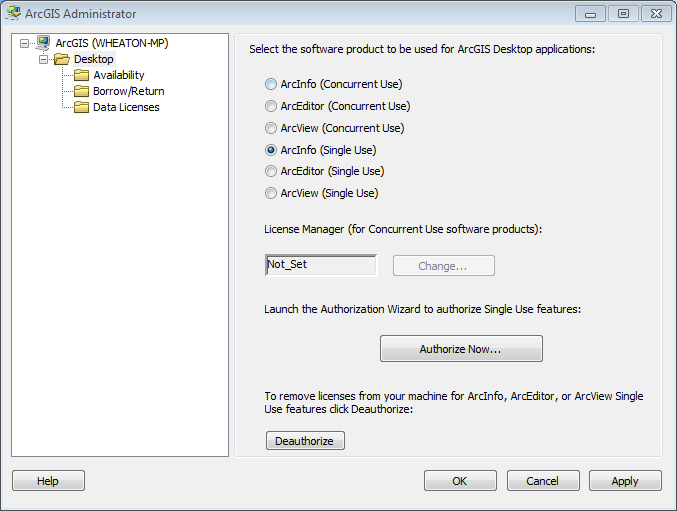 Click Finish and the ArcGIS Administration Wizard will automatically start. This will bring up the wizard. 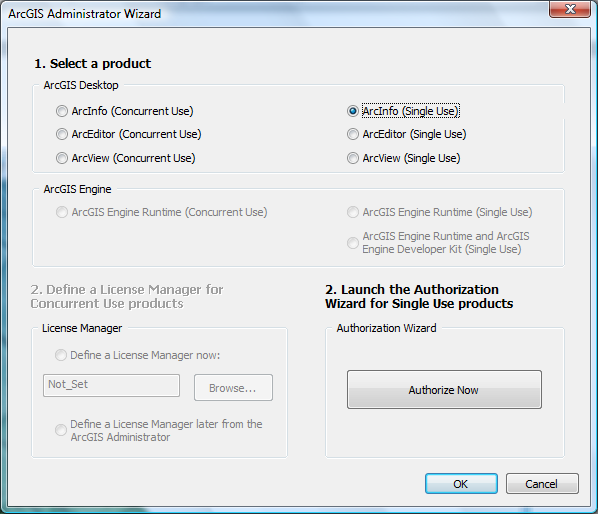 For an Educational edition you want to click on the Desktop and then change the settings in the dialog below to ArcInfo (Single Use) and then click on Authorize Now. As you have already installed your software, click on the 'I have installed my software and need to authorize it' option and click next. Make sure to specify that you are a student in the next screen. The next screen tends to confuse people. The extensions have already been installed, so you do not enter in licenses for these with the education version. Stick with the default, and proceed to the next screen. Your software should now be authenticated and ready for one year of use. Enjoy. 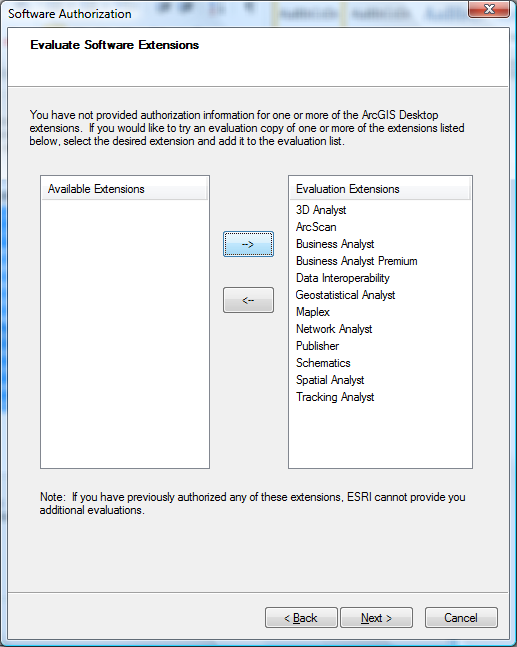 Exit The ArcGIS Administrator and start ArcGIS to make sure it works. 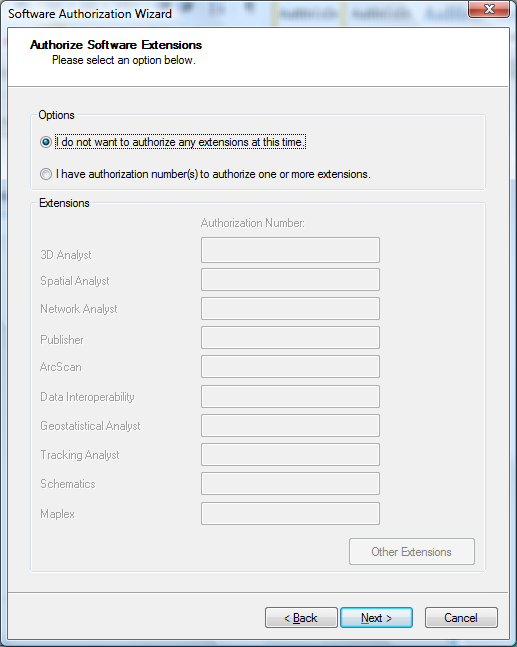 Note you will need to turn on the extensions in ArcGIS for them to be accessible (see here for help getting started). What if it Fails to Authenticate? Don't panic. This usually means that you failed to complete step one, you entered the wrong code in, you are using a code that has already been used elsewhere, or there is an internet connection problem. The authentication of the software (i.e. licensing) is totally separate from the installation of the software. The software can be completely installed, you just can't use it. 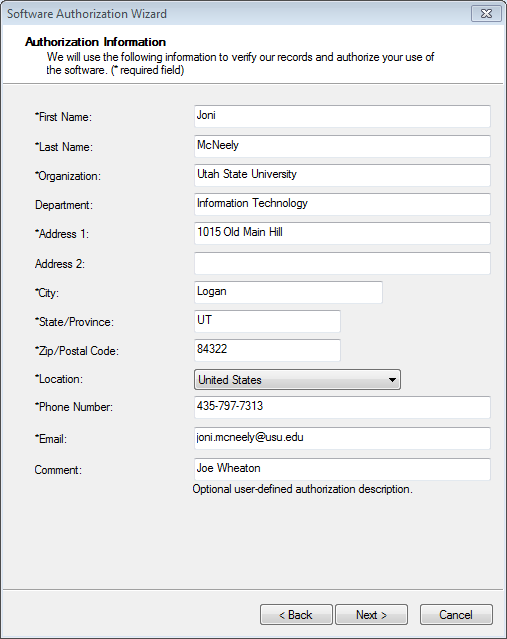 There are many different ways to authenticate after the fact and this can be done using ArcGIS Administrator, which would have been installed with the software. To rectify the problem, complete step one (if you have not already) and then see below for instructions for authenticating after the fact. If this still does not work, try contacting ESRI Support. Click on Desktop and you will see options. 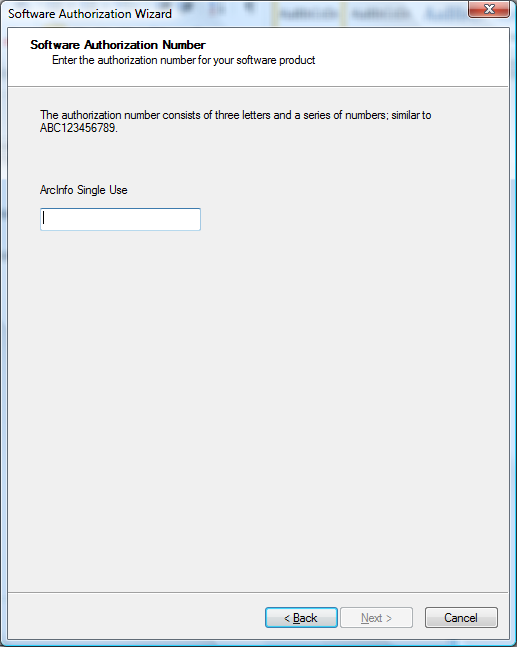 For an Educational edition you want to click on the Desktop and then change the settings in the dialog below to ArcInfo (Single Use) and then click on Authorize Now. This will bring up the wizard. 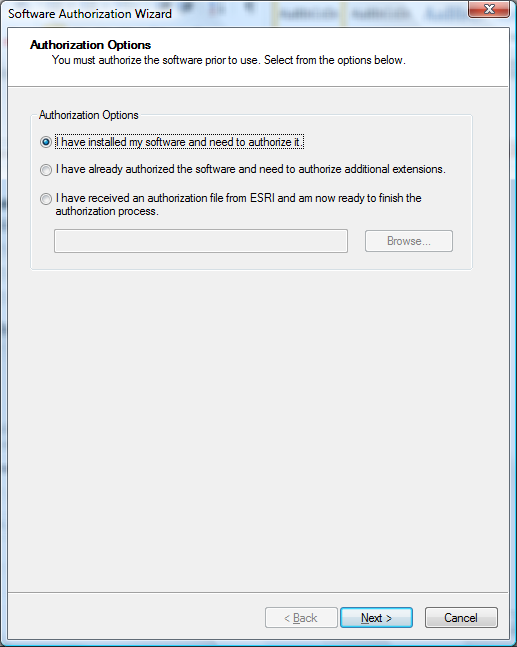 As you have already installed your software, click on the 'I have installed my software and need to authorize it' option and click next. THIS IS NOT AN OFFICIAL ESRI site! These instructions were compiled simply to help students who were having trouble installing Education Edition licenses. 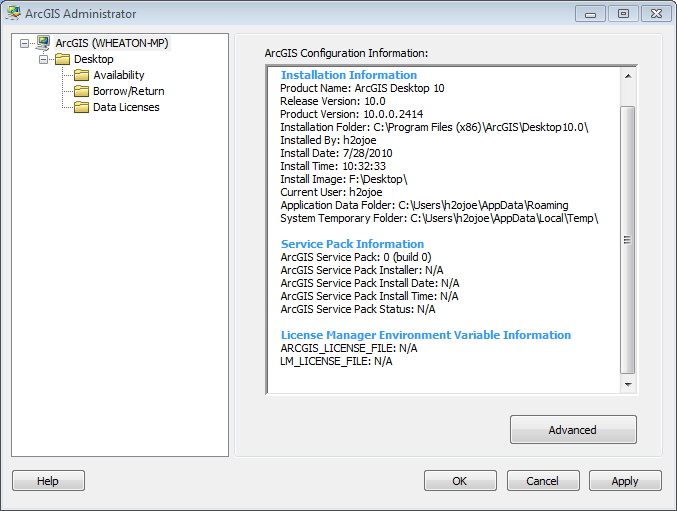 You may not use the Education Edition for any use other that specified in the ESRI License Agreement.